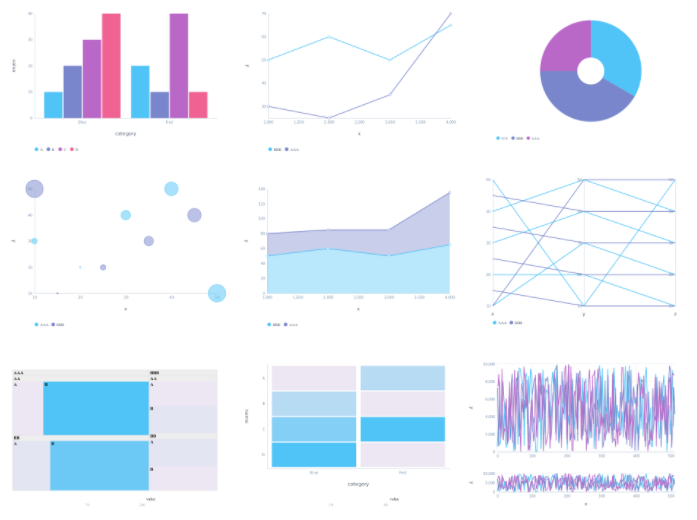 Jelly-Chart is a chart library based on D3v4 and SVG. Jelly-Chart is written using ECMAScript 6 modules. After importing it, you can create a custom bundle using your preferred bundler. To find more detailed usages, check Demo and API Docs.